Vivo has unveiled a global dance movement named #PassTheSwag, in a bid to unite football and music fans worldwide to create an iconic, memorable moment for the upcoming FIFA World Cup. Vivo hopes to empower fans to express themselves and create unforgettable moments through #PassTheSwag during the World Cup, which is in line with its product focus on creating smartphones with quality sound, photographic experiences and “cutting-edge” technology. This follows shortly after it launched its global brand campaign “Unlock Extraordinary”, in collaboration with BBDO South China. The movement features the official song for the 2018 FIFA World Cup Russia “Live It Up” by Nicky Jam, Will Smith and Era Istrefi. As part of the launch, fans worldwide are encouraged to share videos of themselves on social media, as they #PassTheSwag to the tune of “Live It Up”. 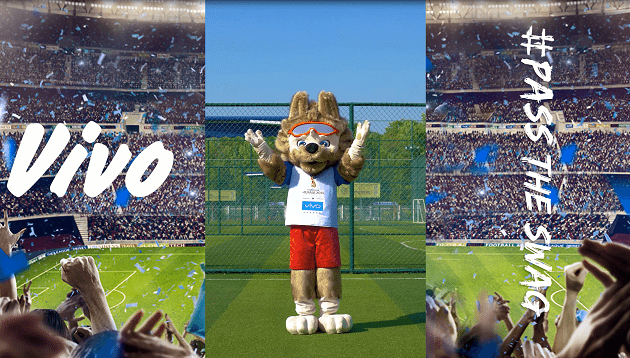 Fans are also encouraged to dance during the Vivo Super DJ Show during all 64 matches. Michael Chang, brand director, International Business, Vivo, described the FIFA World Cup as the “biggest stage” in world football. In sponsoring the 2018 FIFA World Cup, Vivo encourage fans to go beyond being just an audience, but to become a participant, a creator, and to enable extraordinary moments to be seen, shared and remembered. “Globally, we’ve seen how, when tied together, music and performance goes hand-in-hand with sports to create truly extraordinary moments. #PassTheSwag brings to life our campaign theme ‘My Time, My FIFA World Cup‘, in getting everyone excited and by allowing fans to be part of the World Cup through a fun and catchy dance,” Chang said.